Hello, lazy cats!! 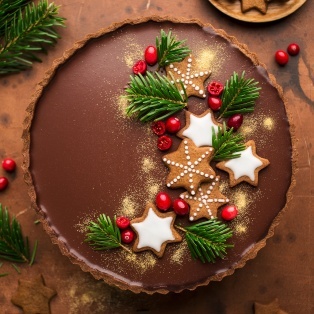 This is my last recipe before Xmas, so I've decided to make it count :P . It's an aromatic gingerbread tart filled with the most luxurious and indulgent chocolate amaretto ganache.